It is used for cutting the fabric-bag filter. 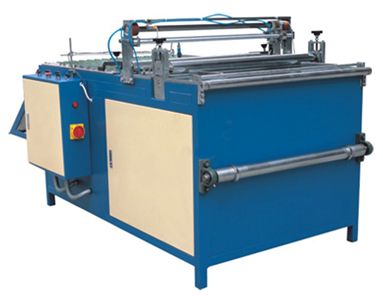 1.This machine is equipped with automatic electrical control system which can easily regulate the length of cutting easily. 4.The cutting plane can be kept neat and straight while cutting so it is easy to sew up the interface.